Unpaid work is viewed as simple, easy and can be done by anyone. (luke-warm body theory) It’s also, the (they can’t hurt anything because they’re not doing anything impactful theory). Let me add another big one to the list: Managing human capital. Let’s say there’s an open, full-time paid position for an IT person at Organization X. HR interviews candidates and offers the job to an experienced IT person who on-boards. Now let’s say Organization X needs a volunteer to man the reception desk 20 hours per week. The volunteer manager will interview candidates but that’s where the similarities end. 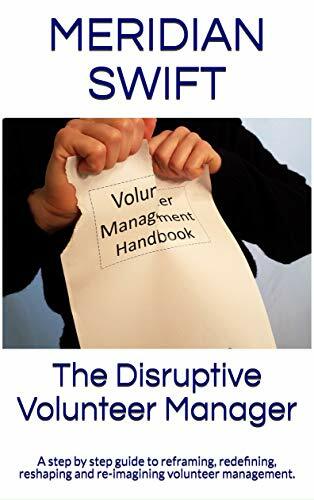 To fill that position, the volunteer manager must “hire” multiple part-time volunteers along with back-ups for the days volunteers are absent. 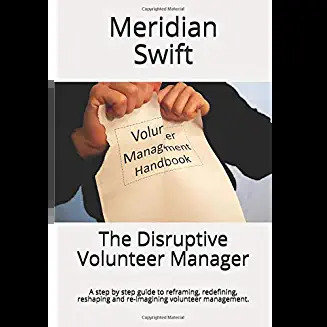 A volunteer manager’s process is exponentially more complex and fluid and requires a much larger amount of human capital to fill a position involving less hours worked. It’s no wonder volunteer managers have a hard time saying no to a volunteer beyond the niceness quotient. We have a more labor intensive recruitment and retention process and every volunteer we turn away equals losing those hours we’ve spent. But we must find the best people for each volunteer role. This doesn’t mean we have to reject potential volunteers from our organizations. And it doesn’t mean all those recruitment hours should go to waste. We can first classify every potential volunteer as advocates by structuring our recruitment to lay out advocacy and expectations from the start. Messaging that says, “we need you and everybody else in the world,” sets us up for failure when we don’t need that guy, the one who sneaks a shot of bourbon during breaks in training. Begin at the very beginning. Start by introducing service to your organization as, “we need more advocates for our mission.” Volunteering for our organizations, as we are told by volunteers is a privilege. Set up the expectation that volunteers are elevated advocates. Make orientation and open houses about advocacy. Welcome the attendees and tell them what actions they can do to help. Give them an advocacy sheet outlining your mission, your work and verbiage to use when advocating. Equip them with pamphlets to pass out. Show them your interactive website. Capture each new advocate’s email and keep them in the loop with email blasts, updates on mission work, new initiatives etc. Encourage them to send in their advocacy hours-anything they have done to further the mission by speaking to friends, leaving pamphlets at clubhouses, businesses, etc. Most likely, you can’t record those hours because these advocates are not official volunteers, but so what? Record them on a separate spreadsheet and share them with the advocates in an email. time spent schmoozing with people is not just “having fun” but rather, has purpose. relationships forged in volunteer services extend mission outreach and awareness. Invite advocates to events and if your organization is on-board with having them work the event, then invite them to participate in a small way. Label episodic groups “group advocates” because a goal with one time and corporate groups is to create partnerships with folks who will advocate for us once they’ve completed a volunteering assignment. Let’s say an advocate interviews for a volunteer position and you deem them not a good fit for the role. Tell them that this particular position is not right for their skills or talents. It’s more palatable to be told that you aren’t right for a position than to feel like an organization is rejecting you altogether. It’s subtle, but less harsh. Let them apply again for another position. The point is, we create relationships with people beyond filling a task. Let that work for you. Ask advocates to recruit more advocates (and potential volunteers). The message then becomes, “We appreciate your willingness to help. There are many ways to help including, but not limited to volunteering.” It’s inclusion versus an all or nothing approach. Reach out to other agencies who are looking for volunteers and see if there are opportunities open as I suggested in this post from last year, Innovation and Sustainable Volunteering. Clearly this is not meant for the potential volunteer who is destructive or wildly inappropriate. It is for those potential volunteers who are on the cusp. Forging a relationship with them as advocates doesn’t slam the door in their face and who knows, they may eventually become volunteers or bring in volunteers or donors or more advocates. We, volunteer managers don’t have to accept that we have an all or nothing approach. When faced with challenges, we find ways to overcome them. Volunteering is about action. Advocacy is also about action. Creating an advocacy role that uplifts volunteering to an elevated form increases mission awareness and reach. It also gives us more control over volunteer engagement and assignments.